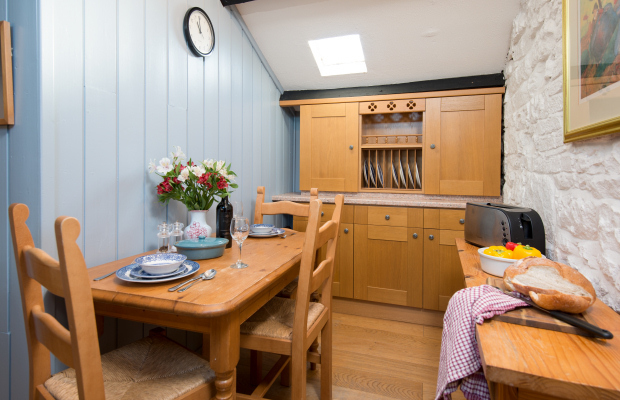 This small, self-contained, first-floor, self-catering holiday apartment at Townfoot is ideal for a couple wishing to visit Northumberland on a budget. It is essentially a studio apartment, with an open-plan sitting room / bedroom and separate kitchen. 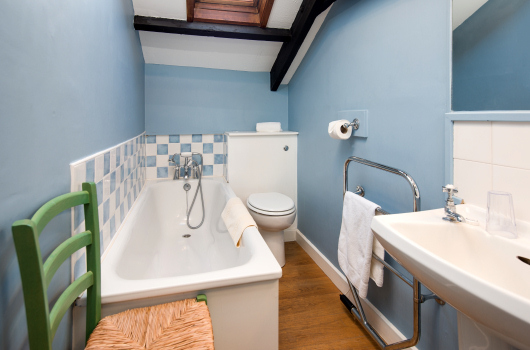 It is ideal for a couple, and some visitors also bring an infant or small child. 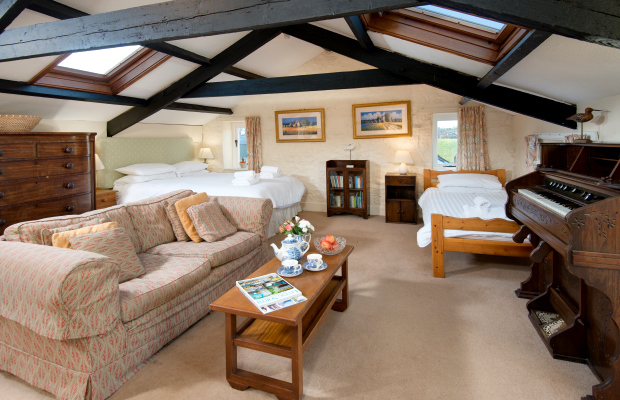 The large, beamed open-plan sitting room has a king-size double-bed, a single bed, sofa, TV with Sky, and DVD player. Please note that the beams are very low in the sitting room and kitchen. 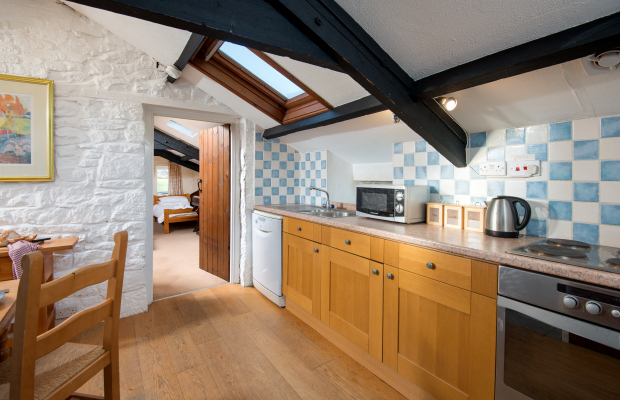 There is a compact kitchen with dining area, and the bathroom has a bath with a hand-held shower. A washing machine and drier are available downstairs in the utilty room. The cooking is electric. 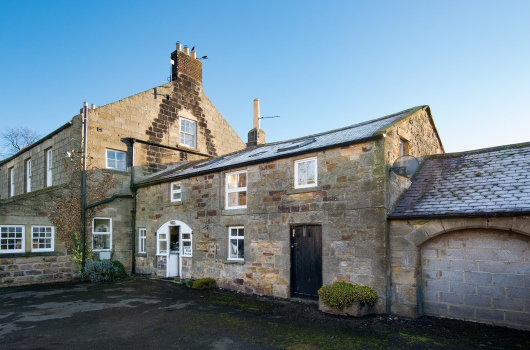 It is a short drive or a 10-minute walk from the main leisure facilities at Village Farm. Guests are welcome to use a part of the garden at Townfoot. Please note that the beams are very low and the staircase is narrow and very steep. The flat is non-smoking and pets can be accepted subject to a reasonable additionalal charge per pet.